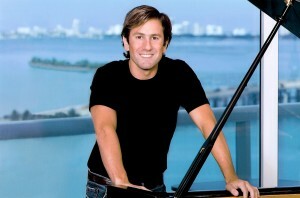 Ciro Fodere is the pianist of the Miami Symphony and piano professor at the New World School of the Arts. As an enthusiast of the 21st century a-vant-garde approach to MISO’s performances, and as the First Prize winner of the XIV Bartok-Kabalevsky-Prokofieff International Competition, Ciro’s latest performances have been described as “masterful, electric, by turns fiery and lyrical” by The Post and Courier, and as “technical sheen articulation, alert dynamic shading, and an imaginative approach” by The Miami Herald, which also raves “edge-of-the-seat thrilling”. Ciro completed his four year fellowship at the New World Symphony, an organization that featured him regularly in chamber music and orchestral performances in Miami. Among accompanying musicians like Joshua Bell and Renee Fleming, he has also participated with members of the NWS in Santa Cecilia, Rome, Perugia, and Carnegie Hall, NY. Mr. Fodere has soloed with many orchestras and will perform as a soloist with the New World Symphony, Miami Symphony, the Philharmonic of Montevideo, the Orquesta Sinfonica of Rosario, and the Sao Paulo state orchestra this coming year, performing Rachmaninoff, Prokofieff, Mendelssohn and Gershwin concertos. In October 2016 he premiered De Concilio’s second piano concerto with MISO, a concerto that has been scheduled on tour in South America.